two girls came to Paris for the first time and they are trying to live. 'Je' is a girl voluntarily lock up in a room. 'Tu' is the script. 'Il' is a lorry driver. 'Elle' is the girlfriend. Three surreal depictions of failures of communication that occur on all levels of human society. This is a making of a musical, with Chantal Ackerman behind and in front of the camera.It is mostly a collection of clips, talks, directions, lectures..... with the camera capturing the whole adventure. A look at life in Eastern Europe after the collapse of the Soviet Union. 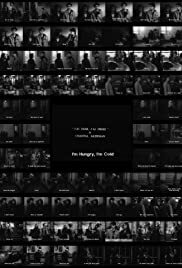 It is a simple, odd, and experimental short film by the great filmmaker Chantal Akerman. So far, this is definitely the best short film by Akerman that I've ever seen, which isn't much of a surprise considering the fact that I disliked the other Akerman shorts that I've seen. That being said, there isn't much to say about this film. It was pretty good, but there isn't much to talk about. As I said, it is really weird and experimental, and it is very slow paced at times, so if you don't like any of those traits, then this film is clearly not for you, but I enjoyed it. It is a love story, a comedy, and a slow/experimental piece all in just 12 minutes. No, it isn't a perfect piece of filmmaking, but it is still a fun little short film that won't take up too much of your time.